Over thirty. Family man. Hockey fanatic. Writes rock songs with piano hooks. Composes meaningful lyrics told through storytelling and singing instead of yelling and screaming. That hardly sounds like the right background for commercial success in today’s music market, let alone creating memorable songs that will become tomorrow’s classics. But it is precisely the right formula for John Ondrasik, Grammy-nominated singer/songwriter of the Platinum-certified band Five for Fighting. Five for Fighting music defies all stereotypes for modern-day music. Songs are based around piano and acoustic guitar arrangements, backed by both a rock band and lots of careful orchestration. In fact, John’s record company really didn’t think that “Superman (It’s Not Easy)” would succeed at radio, but they were willing to “risk” hearing what the radio market would do with it. That song from his first major-label release, America Town, not only earned a Grammy nomination, but has also become regarded as a classic song in its own right, a personal mantra for many Americans in the wake of 9/11 (which occurred only a few months after the song had already become a certified hit). John’s storytelling is filled with messages that apply to listeners from all walks of life. Through his travels across the United States, personal experiences have shaped many of John’s lyrics, while the political and social climate around us provides enough fodder for John to write another ten albums. John’s songwriting quality places him among a distinguished group of contemporaries – gifted songwriters who have enjoyed long-term careers crafting emotional songs that transcend generations and find their way into the hearts and minds of millions of listeners, all while sounding different than the supposedly “popular” music of the day. 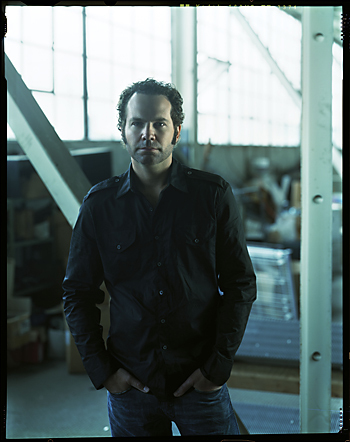 Five for Fighting’s new release, Two Lights, is something of a departure from both America Town and John’s 2004 release, The Battle for Everything. Don’t be misled by the first single, “The Riddle,” which shares the sound and style of Everything’s biggest hit, “100 Years.” The remainder of Two Lights branches out in new directions. Songs feature everything from great slide guitar and tape echoes to crazy first-take vocals and outstanding production values that combine the sonic character of 70’s records with modern day electronic beats and more. would be a lifetime achievement." MPc: Did you grow up in a musical household? What was your first instrument? I could almost picture you writing an inspiring song about a young boy, an instrument, and a dream! JO: Mom was a classical piano major from USC so she started me and my sister young. She was smart enough to let me quit piano lessons as a teenager, and that's when I found my appetite for song writing. I picked up the guitar a few years later as I couldn't haul the piano around to the weekend parties I played. Music was always a big part of our family outings... I remember listening to Carly Simon and James Taylor through a decade of camping trips. MPc: I hear so many classic 70’s and 80’s influences in your songwriting. After listening to your new release Two Lights, I hear you as the collective embodiment of Elton John, John Mellencamp, Carly Simon, and numerous 70s songwriters (Jim Croce, James Taylor, Harry Chapin). Who were the artists that most influenced your style of playing and songwriting? JO: Well there you go... those camping trips sunk in. You're right that I'm living in the 70's... You also need to throw in Tom Waits, Billy Joel, Leonard Cohen, Joni Mitchell, The Beatles, Queen, The Who, Prince, and the first record I ever bought – “Sir Duke” (Stevie Wonder). I've always been in awe of the great lyricists and a fan of the storyteller. The 70's were the heyday of song writing in my book... Songs had a point of view, an intention, and a timeless quality that we lack today. Of course competing with that group would have been a quick road to a day job. To write Leonard Cohen's worst verse would be a lifetime achievement. MPc: You really do a great job of storytelling through your songs – whether contemplating life (“100 Years”), picking up girls in a paint shop (“Angels & Girlfriends”), surfing in California (“California Justice”), and more. Running the gamut from political to comical to introspective, you really touch many subjects that people from all walks of life can relate to. What advice can you offer songwriters regarding how to tell stories through their lyrics as opposed to falling into the trap of writing “typical” lyrics? JO: I think one needs to place reality in their lyrics. The fugitive car chase in “California Justice” not only speaks to the celebrity justice system that has made our stomach churn in California but takes you on a road trip from L.A. to Tahoe City on a route I drive every year. “Freedom Never Cries” is my comment regarding the concept of Freedom. The '65 Mustang sits in my driveway. Whether inspiration comes from experience or observation, a song has foundation when it is based in something the writer knows or feels, or is striving to know or feel. Of course having said that, I take free reign in writing through characters to present an emotion (“Angels & Girlfriends”, “Bella’s Birthday Cake” – lust, or “Devil in the Wishing Well” – depression). the difference between chocolate and broccoli." MPc: Do you start out writing songs on piano, acoustic guitar, or do you start with lyrical ideas? Which instrument (guitar or piano) is your typical go-to instrument? JO: Two Lights is for the most part a piano-based record, not only in the song writing but the production as well. In the past, I split records between guitar and piano. It's brutal to try and write up-tempo piano songs that don’t sound like you're in a saloon. Guitar is a better tool for rock and more aggressive tracks (duh), and piano allows me more reign on the softer stuff. Lately I find myself starting with concepts (“Freedom Never Cries”, “The Riddle”, “Johnny America”, “World”, “California Justice”, “Two Lights”) and then developing the song. And more and more I am writing complete lyrics before sitting at the piano (“Road to Heaven”). Piano is my go-to instrument, no doubt, for better or worse... Still, I have no hard fast rules for songwriting... So much of it is work ethic and grinding through the muck. I spent a year writing for this record and trashed it all. Then you have a conversation and find “Two Lights” coming as if it was a gift... “Superman” was written in only forty-five minutes, “100 Years” took six weeks, and “The Riddle” took eighteen months... Go figure! MPc: Tell us about your piano(s). What are your chosen favorites in the studio, and what piano(s) do you like to play on tour? What kind of challenges do you face dealing with pianos on the road? JO: You did your research! I play Yamaha pianos and bring my own piano to the studio. I'm no Ben Folds, so having the piano I play at home helps me in tracking. Playing a real piano on stage (if it's in tune) rather than a keyboard is like the difference between chocolate and broccoli. Still, when you have a temperature problem you can get into trouble. We just played a gig in NY at the China Club where it was so hot the piano was unplayable after three songs... that's when you go to guitar. Engineers will tell you miking up a live piano is the hardest task they face. MPc: You play a lot of guitar, too. Please tell us about some of your favorite guitars that you record with and/or tour with. JO: My wife bought me a 1938 Martin Acoustic for my birthday a couple years back. That night I wrote the melody for “The Riddle.” Instruments can be a muse, and that guitar has inspired many songs. She stays at home and only travels to the studio. Live I've used Martin, Gibson, and Taylor Guitars. MPc: Your song “Superman (It’s Not Easy)” from America Town was already a hit when September 11th happened, and afterwards, people really embraced it as a song of hope, strength, and solidarity. What did that song mean to you before the tragedy, and what does it mean to you today? Also, tell us what it was like to be relatively early in your musical career and ending up performing this song at the 9/11 Freedom concert in Madison Square Garden. JO: It was surreal. I'd had that song in my pocket for a couple years and almost didn't record it for America Town. I'd always had the feeling that if Superman ever found its way to the public ear, folks might appreciate it. When we went to radio I was told the song was too slow, the lyric too deep (figure that), and that it didn't sound like “radio” of the day. Luckily for me a few people at Columbia Records believed in the track and radio ended up embracing the song. To me the song had always been about our common humanity, though it was interesting to see listeners make it their own. The many contexts, some pleasant, and some heartbreaking took me back a bit early in the life of “Superman.” But obviously after 9/11 the song took on a new significance that appropriately trivialized me and/or Five for Fighting. To see a song make a difference in the aftermath of such a horrific display of the human heart reminded me how little we matter as record sellers. It's the songs that make the difference. And I'm glad “Superman” and other songs were there for those who needed them. I learned how music as a medium can transcend other avenues of healing. When I watched The Who blow the roof off Madison Square Garden and the emergency workers release what had been churning inside them for a month after the attack, I had a new respect and awe for the power of music to heal. I was honored to be a very small part of that night. Though many of the songs on America Town I don't miss, I still enjoy playing “Superman” each night. It is, in a sense, my first-born. MPc: On The Battle for Everything, “100 Years” was equally as strong a song as the former record’s “Superman” that everybody related to lyrically. Something amazing about both songs, and certainly a contributor to their success, is that in addition to memorable heart-felt lyrics, both songs open with beautiful, catchy hooks… on piano! What came first – the piano hooks or the stories? JO: As I said, “Superman” wrote itself, and “100 Years” started with that piano hook. Once I had the concept of "there's never a wish better than this, when you only got 100 years to live," I knew I wanted each verse to be a vignette in a lifetime. From there it was just song grinding – writing fifty verses to get the four that worked best. Bridges are also crucial in songs like that. They are the usually the hardest element for various reasons. I think the bridge in “100 Years” is the cornerstone of that song besides the piano hook. MPc: “NYC Weather Report” and “Infidel” off The Battle… came from a different place musically than many of your other songs, primarily featuring heavier classic-rock influenced guitar instead of piano throughout the entire track. In general, you have a number of songs that feature great rhythm guitar work and grooves, but very little instrumental soloing. How do you feel about solo sections in general? MPc: Your involvement as a producer has evolved over the past three albums. You didn’t produce on America Town, you co-produced with bassist Curt Schneider on The Battle For Everything, and on your new CD, Two Lights, you and Curt share production duties with guitarist Andrew Williams. 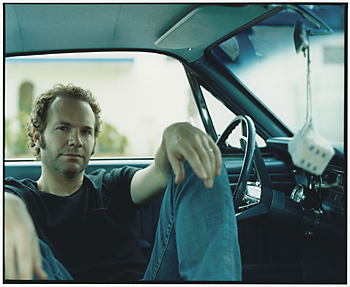 Has the role of other musicians within Five for Fighting evolved over the past few records? It seems more like what began as a one-man singer/songwriter has evolved into more of a collaborative band effort. JO: I've always co-produced my records to a certain extent. Gregg Wattenberg did a great job crafting America Town and coming in on “100 Years.” I think everyone in the band learned a lot from Bill Botrell on the making of Battle... His process is one we took to heart on Two Lights. Recording everything live, taking the time you need, and having the guts to throw three weeks work in the trash. So I have a lot of respect for both craft and the magical live take. I knew I wanted to cut a song at a time and be able to revisit various tracks. Both Curt and Andrew have been important to the sound of Five for Fighting, and this record was quite collaborative on the production side. Having Joey Waronker on drums, and the scoring of Jorge del Barrio and David Campbell were also crucial elements to Two Lights. "Orchestration is an element that can raise a song to a new level. Of course it can also kill a song if it's overdone." 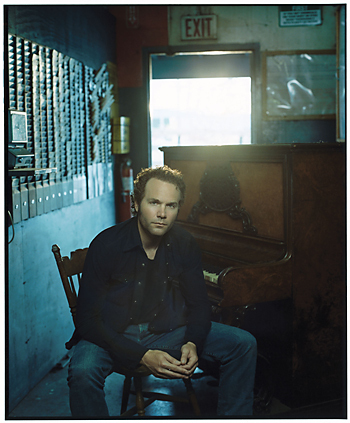 MPc: As the principle songwriter for Five for Fighting, what are some of the challenges you experience translating your artistic vision into something that the entire band can get behind? JO: As Five for Fighting is not a band, in fact, I have the final call, which can create issues but also allows me to present my vision. I'm fortunate to be in that position, which is fairly unique. It allows me to choose the people I work with and use their particular talents in a way I think best reflects the presentation I want to make. Since Five for Fighting is so song driven, I have the luxury of not being locked into a “sound.” My job is to present the songs in a way that allows them to speak for themselves. If that fails to happen, it's on me. MPc: The opening track, “Freedom Never Cries,” is a pretty somber album opening, but establishes the orchestral element right from the beginning. Did you always envision orchestral arrangements in your songs, or was this a seed originally planted by producer Gregg Wattenberg back on America Town? JO: The most enjoyable moment of any record is the string date. Orchestration is an element that can raise a song to a new level. Of course it can also kill a song if it's overdone. I always loved the string arrangements to the early Tom Waits records. Part of the producing gig is knowing which songs call out for strings as well as who should orchestrate. On songs like “World” and “I Just Love You” I felt we had to be careful with the strings so I ended up writing very simple arrangements. I also knew that “Road to Heaven”, “Freedom”, and “Two Lights” needed an ability beyond my means, so Jorge del Barrio came in to write those beautiful arrangements. I have no formal training in classical music regarding orchestration, so we had David Campbell score out my ideas for us. David also did a great job scoring “Johnny America” – the brass section was his idea. MPc: Two Lights has a very apparent 70’s sound, not just in the songwriting, but in the sonic qualities of the actual recording. I understand that you made an investment in some vintage equipment before making this record. Can you tell us about some of the special gear used in the making of this record? Did the vintage gear live up to your expectations or did mechanical issues with vintage gear negatively impact the experience? JO: Be careful what you wish for, right? I knew (considering the process I wanted in recording) that we couldn't afford the two-grand-a-day recording studio for nine months. So I bought a Neve board, great mic collection, and a bunch of vintage outboard gear. Of course I didn't realize how much the maintenance would cost or the constant issues that occur with the “good stuff.” Still, it allowed us to make the record. We set up in Westlake and once we got over a week of headaches it was great. I look forward to the day I have my own studio with all the gear wired up. It will allow me to make quality-sounding records with or without budgets... Many projects I'm taking on have little or no budgets, so it will allow me some freedom in what I choose to do. MPc: The new CD was recorded in a few locations, one of which was your home studio. Please tell us about the recording environment you’ve set up at home and how it was utilized in the recording of Two Lights. Also, did you track to tape or do it all in Pro Tools? JO: The only things I did at home were some vocals and a few piano overdubs. The nice thing about pulling the Neve modules is that we had vocal chains in Westlake, at Curt's, and at my house. With our own mics we could set up virtually anywhere. We left a few compressors and modules at each location, which worked out well. We ended up doing a lot of guitars at Curt's studio. We were hoping to go to tape but weren't able to due to time pressure... [the recording] was straight to Pro Tools. MPc: There’s a lot of slide guitar on the new record, as well as some great tape delays and reverse effects on the guitars. Did you push Andrew Williams more in the slide direction this time around or was that his own contribution to the songwriting? Also, can you tell us something about the recording of the guitars on this record? JO: We had a wide range of guitar players. That slide was Bruce Watson, a great L.A. player. Curt enjoys playing with plug-ins to embellish sounds and Mark Endert [engineer] did all the reverse piano and guitar overdubs on “The Riddle” and “World.” On this record the only co-write was Shaye Smith on “I Just Love You”... Shaye is a Nashville songwriter with many cuts under her belt. just hoping to be able to talk." MPc: You’ve got quite a range to your voice running from baritone to some great falsetto work. Picking a good vocal mic for you must be quite a challenge! Can you tell us about your choice of mics and pre’s used on the new record, and then tell us about your choice of mic for live singing? JO: Usually I use a Neuman U-47, though in the past I've used a Telefunken 251. We go through either an EMI compressor or a Universal Audio LA-2A depending on the song. On this record I used a modified 47 for all the tracks. I've learned over the years about mic technique and when to get right on the mic, and when to back off. We’re still experimenting with live vocal mics. MPc: It seems that with your singing style that goes from a whisper to a roar, low to high to falsetto, you could hurt yourself pretty easily. How do you protect your voice during recording, and how do you keep it in shape while touring? JO: Great question. Sometimes I just can't. During recording I'm usually okay – I can tell when I'm getting in trouble and I take a couple of days off singing so I don't close down the voice for a month. All that classical training does come in handy when launching a record or touring, but due to a surgical problem when having my tonsils out fifteen years back I have a nagging injury that always haunts me. Therefore, during crunch time I take various medications to prevent reflux, talk/sing only when I absolutely have too, and try and stay healthy. As soon as I get sick I usually end up having to shut down for a couple weeks as the larynx shuts down and I can't make a sound. The voice can be my nemesis and has caused serious issues in the past... But I think I've learned to handle it and hopefully will get through this record... I have to laugh as there are many days that I wake up just hoping to be able to talk. Puts things into perspective a bit considering the rigors of the touring musician. MPc: Your singing really developed some new personality on the latest record. At times I feel like Elton John was removed as your vocal guide and was replaced with Radiohead’s Thom Yorke or Our Lady Peace’s Raine Maida. You have a great style that incorporates some pretty big pitch shifts in mid passage. On songs like “Policeman’s Xmas Party” I think you even managed to channel Ray Davies and The Kinks in your performance. JO: Ha, that's funny! Considering the subject matter of that song, it had to be that way. That vocal was a scratch vocal that reflected my state of mind during the events described in that song. Hopefully my voice is maturing and becoming more interesting along with the songwriting. MPc: Speaking of “Policeman’s Xmas Party,” you must tell us about the inspiration for that song! JO: I'd rather not (laughing). It was based on an attack that occurred at my house while my family and I were out of town. The subsequent attempt to solve the crime and my desire to play the Policeman's Christmas party, knowing the attack was unrelated to my family, is described in the song. The good news is that the victim fully recovered and I did play the “Policeman's Xmas Party” for the West Valley P.D. as I will again this December 1st. One note – the line “it's still raining in the park” – actually refers to Detectives Steve Park and Foster Raines who were the lead officers on our case and have become good friends. MPc: You really branched out musically on Two Lights. Songs cover a wider range of styles overall than on the preceding records. What did you hope to capture on the new record that was different from your previous releases, and how did your feelings about current events and politics influence the songwriting on your new CD? JO: I've always touched on cultural issues on previous albums, though perhaps not as pointed as “Freedom Never Cries”, “Two Lights”, “World”, and “Johnny America.” The songwriters I always respected presented their view of the world. I didn't set out to make any statement per se, but I thought some of the views set forth in these songs needed to be said. MPc: I think you’re the first artist people refer to as Americana in style who manages to incorporate electronic percussion in his songs. It’s interesting to note that on one hand, Two Lights has more of a 70's folk rock vibe yet it also has the most obvious electronic elements and modern guitar sounds of all your releases. JO: That's interesting... Again we have no rules in presenting songs, they evolve. “Two Lights,” in particular – we had no idea when we started where it would end up. We took a couple of shots at that song as it was by far the hardest song on the record to realize. MPc: Finally, any news on the upcoming tour? How do you plan to recreate the orchestral arrangements? Synth players or a live orchestra? JO: We're starting October and the first run will be a broken down four-piece. I thought it would be cool considering the nature of the songs to do a more intimate show. I'll be able to talk more about the stories behind the songs and focus on the themes. Hopefully in 2007 we'll be able to put out a larger band and do the full rock show. The day I can take an orchestra with me on the road will be nirvana. MPc: Anything you’d like to tell us that we forgot to cover with you? JO: I think you got it all and more... Look forward to next time.